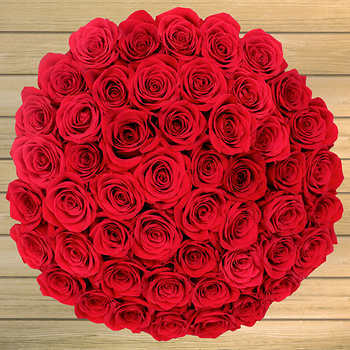 Costco.com has for it’s Costco Members: 50-Count Valentine’s Day Roses (various colors) for pre-order for $49.99. Shipping is free. Note, non-members are subject to a 5% surcharge, making the total $52.49. You may order with delivery for February 8, 12, 13, or 14. Select your delivery date at checkout. Disclosure: This website is not affiliated with, maintained, authorized, endorsed or sponsored by the Costco or any of its affiliates. This is an independent, unofficial site.